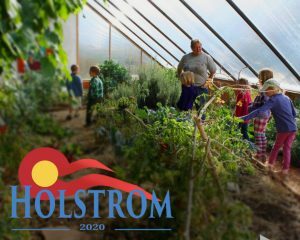 Alongside the work outlined here Kris Holstrom also owns a consulting endeavor called Productive Properties, offering permaculture, garden, greenhouse and farm design services. Past projects include designing a food production system to feed 20 on a portion of a large cattle ranch, converting a former farm homestead now held by a land trust into a community farm and education center near Crested Butte, and a low water use landscape for a new green built home. Kris has designed greenhouses and greenhouse interiors for several Growing Dome Greenhouses. She works with schools to design and build cold frames and gardens and helped start and oversee four community gardens and one school greenhouse. 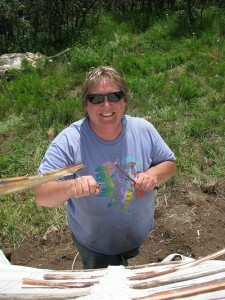 Kris serves as Board President of SWIRL -the Southwest Institute for Resilience (formerly Tomten Institute). 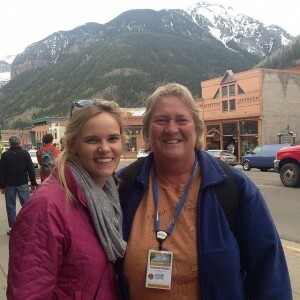 She co-founded this non-profit with Norwood resident, Carolyn Mountel, Iron Springs Mesa resident, Cheryl Miller and Telluride resident, Salli Russell. SWIRL is dedicated to teaching healthy sustainable living skills, including organic farming, gardening and organic waste recycling. 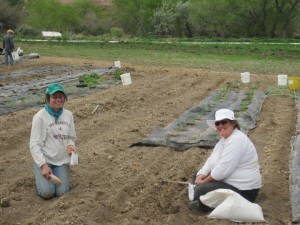 SWIRL is the fiscal agent and supporter of regional community gardens and greenhouses including Telluride, Ridgway, Norwood gardens and Ophir greenhouse. The School Greens project, which was completed in 2011, provided in-school lighted growing systems to provide salad greens and sprouts for the school lunch programs and classroom support. Kris created a mobile growing platform ‘Truck Farm’ for the 2011 Mountain Film. 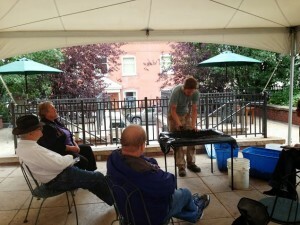 Additional projects include revitalizing the Telluride Mushroom Festival in collaboration with the Telluride Institute, promoting composting and vermiculture and holding workshops on a wide variety of gardening topics. Kris’ work experience includes event management, grant writing, budgeting, working with local governments, database and ticket sales management, interviewing and scheduling speakers, programming, managing a 5 employee non-profit, managing activities and hands-on demonstrations. 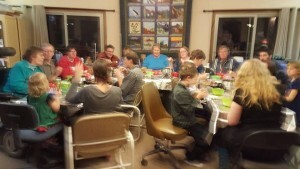 Kris facilitates and hosts the twice yearly gatherings of the Southwest Colorado Food Alliance with western slope food and farming related non-profits. Regional Sustainability Coordinator and Executive Director, EcoAction Partners, formerly The New Community Coalition. The non-profit was fo rmed in 2007 to further efforts at regional sustainability with initial and on-going funding from the Town of Telluride, Mountain Village and San Miguel County. Additional funds have come from San Miguel Power Association, the Colorado Governor’s Energy Office, the Colorado Dept. of Public Health and Environment, the Telluride Foundation, the Anschutz Family Foundation and the Faraway Foundation. Duties included overseeing employees and contract laborers working in energy efficiency and renewable energy, GEO rebate coordination, green building, resource recovery and recycling including zero waste goals, food security and local food promotion, sustainable economy efforts and education in all those areas. 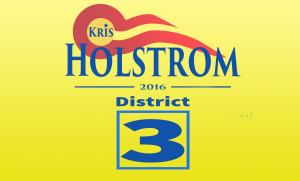 Kris attended meetings, organized events, created budgets, wrote grants and press releases. She helped organize community groups to address above issues and worked with local, regional and state personnel and organizations on collaborative efforts throughout the region. Director of Sustainability – Telluride Institute – Part-time position with varied duties including sustainability event organization, presentations on various aspects of sustainability, classroom education and curriculum development, (units on trash and energy in Spring 2006), liaison with environmental organizations within San Miguel watershed and surrounding regions. Directed Ideas Festival – Sustainability Now! in October 2005. Basic bookkeeping duties using Quick Books for Non-Profits, budget preparation and grant writing, working under Board of Directors. Executive Assistant, BIOTA Brands of America, Inc. Involved in all aspects of start-up water business using the world’s first biodegradable plastic bottle made from a 100% renewable resource, corn. Wrote ad copy, designed ads, acted as liaison with environmental organizations and conducted general office duties in a high stress setting while working with financial realities of a main street business. Varied positions including: legal secretary for San Miguel County Attorney, Admin. Asst, Telluride Regional Airport Authority, Admin. Asst. for Gaitways, a local physical therapy research and education company, legal secretary for Georgia Pacific in Atlanta, assistant garden center manager, Blacksburg, Virginia, secretary for Management & Marketing Department at Virginia Tech, waitressing, working on a dairy farm, operating a timber mill, conducting hydrologic studies for the Forest Service, researching air pollution drift, involving sampling and ultra-clean lab techniques in Virginia. 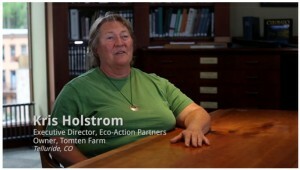 Holistic Management, Intro to Whole Farm Planning, Holistic Management Institute. Training for agricultural educators. Currently enrolled. Farm Succession Planning, International Farm Transition Network training, March, 2014. An Introduction to the US Food System: Perspectives from Public Health, Johns Hopkins Bloomberg School of Public Health, completed March, 2014. 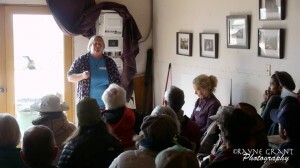 Collaborative Leader training, through Healing Leaders, Cortez, CO, 2010. ZERI Certification training – June, 2005. ZERI – Zero Emissions Research Initiatives. Training with Gunther Pauli, ZERI founder, encompasses systems design for sustainability using the five kingdoms of nature and the five emotional intelligences to create sustainable businesses and networks with zero waste as a goal, through connecting and enhancing environmental, social and economic elements. Leadership for Sustainability – 10/28 & 29, 2004. Two days exploring ways to create leaders in business, government and society who embrace sustainability as a positive path to a prosperous future. Fungi Perfecti –Nov. 2002 and June 2004 – Basic Mushroom Growing Techniques and Mycoremediation Techniques. Two intensive weekend workshops with Paul Stamets exploring ways of using fungi to remediate toxic and degraded environments. Permaculture Design Certification– 1989. A two week intensive course in “permanent culture” design – creating landscapes for humans that incorporate sustainable food growing, solar design for energy efficiency and intelligent and ethical design for living in harmony with the environment. 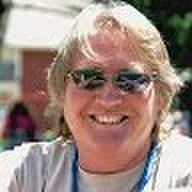 Contributor to Edible Magazine of the San Juan region, Permaculture Activist, Natural Highs magazine.